Robert Record Stapleton was the husband of Sylvia Stapleton, Paddington’s first female alderman. They had two young children – a boy and girl. He died suddenly in 1933 aged only 36 years old. Robert Stapleton was engaged in the building trade. Robert Record Stapleton was an alderman on Paddington Council in 1929-33; he was mayor in 1933. 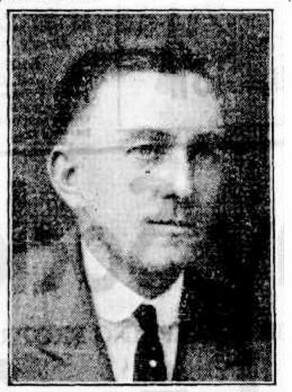 He died in early October 1933 while Mayor and his wife, Sylvia Stapleton was appointed as an Alderman on the council later that same month.